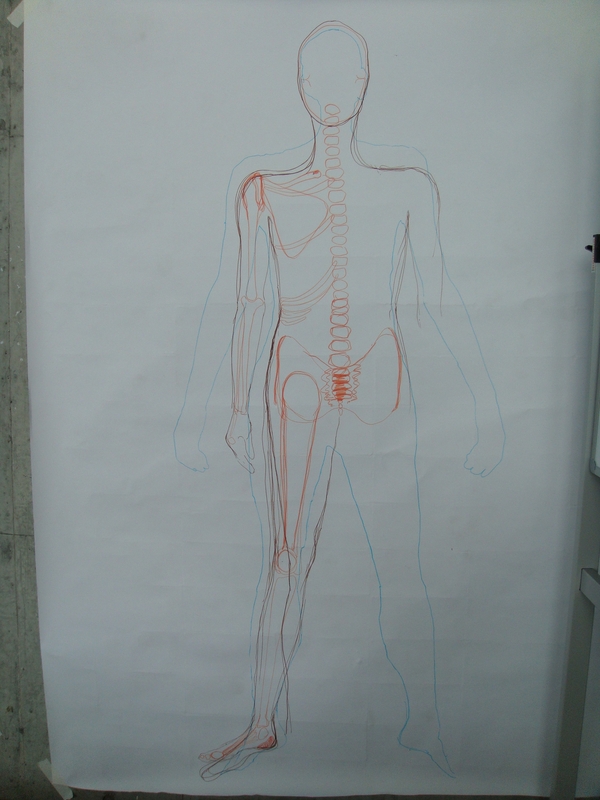 In the act of drawing my own body outline and skeleton, i found myself ocscillating between drawing from the felt sense (how my imagination traced the edge of the body, the weightiness of bones and flesh pressing into the floor) and drawing on known anatomical models and ways of depicting bones. My sketchy knowledge of anatomy, the exact shape of bones, was challenged in this exercise. But then, that wasn’t what the exercise was about. 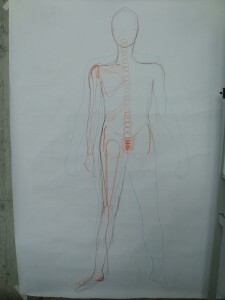 For Merleau-Ponty, the body image is dynamically constructed according to the value of the task. I had difficulty gauging and translating the actual length or dimensions of my neck (i live with a long neck) into a visual representation, drawn on paper. I drew my neck longer than it actually was, despite using my hand to measure its dimensions. When drawing my body and checking visually what a certain part of the body looked like, I got mixed up between what it looked like in a prone position and what it looked like in a standing position, as the fall and twist of the limbs is different in each. At some point, Catherine made the statement, “what are you trying to do”. I then realised that I was attempting to achieve an accurate visual rendering from the outside, rather than a rendering from the felt internal sense of the body. In response, I began to vary the quality of the linework to suggest the quality of the felt sense of the limbs and bones, in particular, the heaviness or lightness, the torsion. Wandering in the pastures and bush at Bundanon. Taking note of the effect of the environment on my bodily sensations and in turn, whether the attendance to the felt experience influences or changes my perception of the external environment. A tall, spindly tree holds my attention. Its surging verticality commands an uplift in my own posture, a rising and thinning, a thin energetic line upwards. 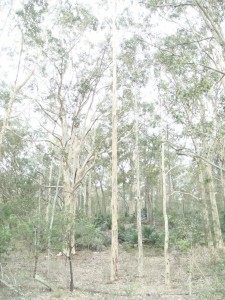 The surrounding trees conspire in this uprightness. 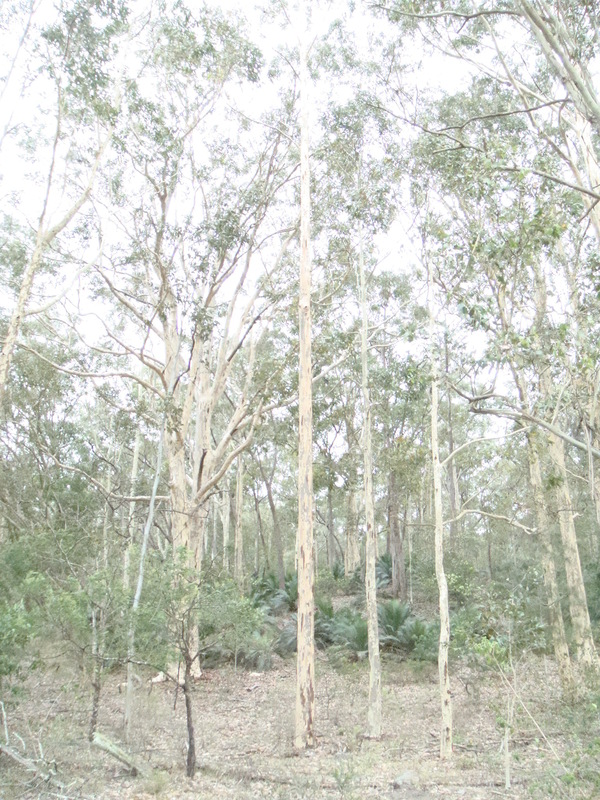 Further along the track, the peeling orange bark like a contagious skin disease rivets me to the spot. I stay a while, watching, listening. The sound of a leaf falling on the dry ground startles me. I feel a grabbing in my chest, the space above my diaphragm spasming. Another leaf or branch drops. I tune in to the staccato cascade of sounds, twitching and turning towards each sound. On the alert, ready to gather and move … my own small drama in the bush. I stay with this listening. My own foot steps sound clomping and insensitive, out of place in the delicate warble of the bush. The steep slope invites a small musical phrase of footwork. Dry leaves rustle and crunch under my dancing feet.